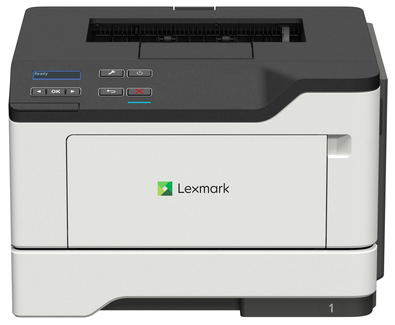 Strike the perfect balance of performance and affordability in small-workgroup mono printing with the up-to 38-page-per-minute Lexmark MS321dn, featuring standard two-sided printing, enhanced security and built-in durability. Get mono printing at up to 38 pages per minute, plus standard two-sided printing, at an affordable price. Durability and long-life components keep your maintenance costs low, too. Some laser printers struggle to print grey text that’s easy to read—not the MS320 Series. Its innovative font outlining technology makes even the smallest grey text crisp and clear. Robust and reliable, Lexmark printers are built to work anywhere from showroom to warehouse with few interventions. Keep going with long-life components and replacement cartridge yields up to 15,000 pages**. *Average Continuous Cartridge Yield in one-sided (simplex) mode 2,000 standard pages. Declared yield value in accordance with ISO/IEC 19752.